A patient’s own stem cells may treat chest pain that cannot be treated with current therapies. Patients experienced significantly fewer angina-related symptoms and improved ability to exercise after receiving the stem-cell therapy. A side effect reported was muscle pain. 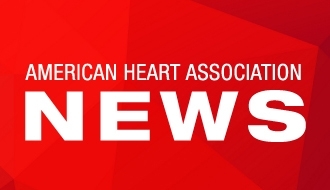 PHOENIX, Arizona, July 18, 2016 — A non-surgical treatment that uses a patient’s own bone marrow stem cells to treat chest pain or angina improved both symptoms and the length of time treated patients could be physically active, according to preliminary research presented at the American Heart Association’s Basic Cardiovascular Sciences 2016 Scientific Sessions. Angina is chest pain or discomfort caused when the heart does not get enough oxygen-rich blood due to narrowing or blockages in the arteries leading to the heart. Most studies that have explored stem-cell therapies for angina required surgery to directly inject stem cells into the heart muscle or the heart blood vessels. “We injected a ‘catalyst’ molecule that caused bone marrow stem cells to enter the patient’s blood, then harvested them to re-inject into the patient. This is not considered a surgical procedure, is easy to implement, and allows for repeated administrations,” said Hadyanto Lim, Ph.D., study senior author and professor of pharmacology at The Methodist University of Indonesia in Medan, North Sumatra, Indonesia. Fifteen patients were first injected with a molecule called granulocyte colony stimulating factor (G-CSF) once a day for four days. G-CSF stimulates stem cells to migrate into the bloodstream from the bone marrow where they reside. Stem cells have the ability to transform into different types of cells. On the fourth day, three hours after the last G-CSF injection, blood was drawn and stem cells were separated from the blood. Stem cells were identified by the presence of a protein called CD34 on the cell’s surface. Thirty minutes after the cell separation procedure finished, the collected stem cells were injected back into the patient through an IV. Four weeks after receiving the treatment, patients experienced significantly fewer angina-related symptoms, and they were able to exercise at a higher intensity and for a longer period of time. Most patients also reported mild muscle pains in their backs or legs, but the pain could be managed with acetaminophen. When lifestyle changes and drug therapies do not control chest pains and discomfort, patients are often recommended for surgical procedures including coronary angioplasty in which a small mesh tube is inserted in the narrow heart artery to open it up and coronary artery bypass grafting in which healthy blood vessels are used to shunt blood around the narrowed heart arteries. However, 20 percent to 30 percent of patients with severe coronary atherosclerosis are not suitable for these interventions. “Previous studies have shown that transplanting stem cells helps treat heart disease caused by narrowed or blocked arteries and heart failure. Using G-CSF to isolate CD34-harboring stem cells, called CD34+ stem cells, for transplantation back into the patient may be a practical alternative for hard to treat patients. The stem cells cause new blood vessels to grow which can improve blood circulation and may help repair the lining of the blood vessels,” said Lim. The study’s limitations are the small number of patients and absence of a control group. Because no control group was used, the placebo effect cannot be ruled out, Lim noted. Although this treatment is currently used to treat some cancers -- multiple myeloma and lymphoma -- it will need more investigation before it can be made available to the general public to treat angina, according to Lim. Co-authors are Lindarto Dharma Ph.D.; Zein Umar, Ph.D. and Hariaji Ilham, M.Sc. Author disclosures are on the abstract. The study was supported by the authors’ clinic. Note: Actual presentation time is Monday, July 18, 6:10 – 7:40 p.m. MT.